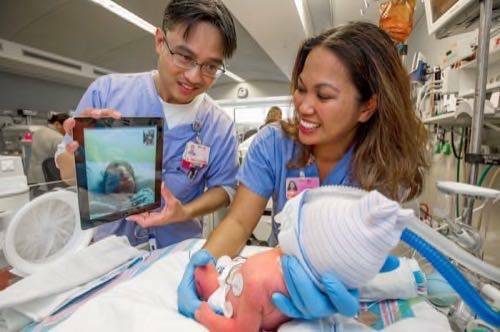 Cedars-Sinai Medical Center in Los Angeles is now using iPads and FaceTime to allow mothers to bond with premature or critically ill newborns in the intensive care unit. Yes, it’s a savvy implementation of mobile computing technology. 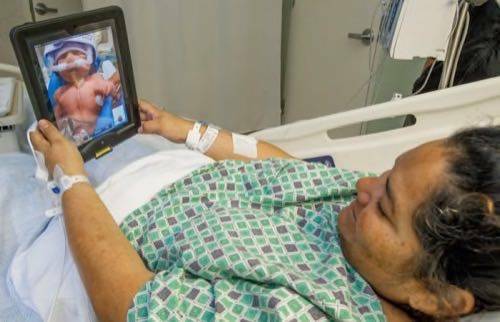 It is also unmistakably heartwarming, even in the context of mothers and babies hospitalized on different floors, unable to see each other except via screen. The hospital calls the project BabyTime. BabyTime’s been wonderful. For mothers, to see their baby, this absolutely lessens their anxiety. For the fathers, who can become overwhelmed with all the information they are receiving, BabyTime bridges the gap and allows for a direct line between mother and caregivers. Approximately 20% to 30% of mothers who undergo a cesarian section are not initially well enough to travel from their bed to the NICU. 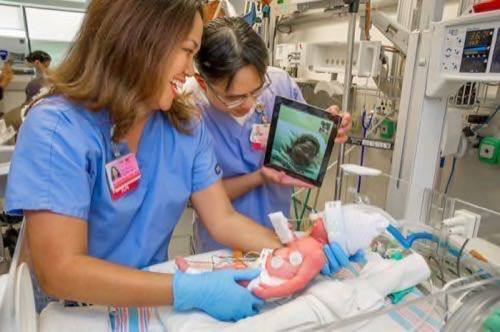 Once an infant is admitted to the NICU, the hospital sets up a iPad next to the baby’s incubator and provides a second iPad to the new mother. The program went live this February. The hospital makes the service available for “all in-house deliveries.” New mothers can request a BabyTime chat at any time, although only twice a day. The hospital uses a secure connection for these video communications. 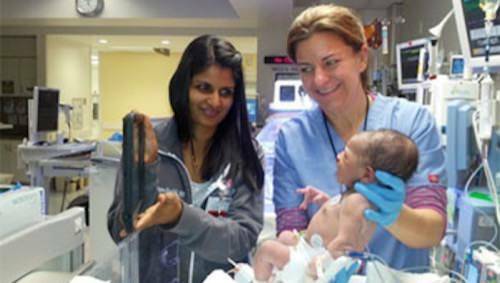 Mothers can also watch as nurses and doctors treat their newborn in the NICU — and can even ask questions and make suggestions. BabyTime will help bridge communication with the family and the baby’s medical team and is an excellent use of technology to help new mothers bond with their babies, even when they cannot be physically at their babies’ bedside.